Rumor: Assassin's Creed: Empire To Release October 2017 | Nerd Much? According to a product listing on a major Swiss retailer (World of Games), Assassin’s Creed Empire is due to release in October 2017. There has not yet been any official announcement from Ubisoft, but it seems like one should be coming soon. The date could be just a place holder until the actual date comes out, but the last Assassin’s Creed game was released in October, too. Nonetheless, all we know about Empire are rumors, which thus far state that the game will be on PS4, Xbox One, and possibly the Nintendo Switch. The port might even be the cause of the year-long delay, as Breath of the Wild was delayed for the Wii U for similar reasons. 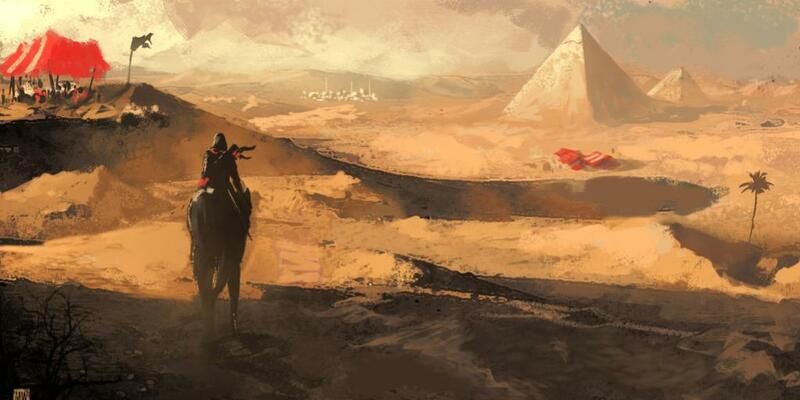 Rumors also hint that the game will be placed in ancient Egypt, though no further details on the plot have been mentioned. This place setting is well before the timeline of the first game, which was placed in Syria during the 12th century. Empire will be coming after Ubisoft taking off an entire year to focus better on the next game. This decision is in light of the negative response to Unity, and will likely herald biennial releases instead. Which can only be for the better, as the franchise has been on a steady decline since the second in the series. Will you be pre-ordering Empire, if it is indeed to come out so soon? What do you hope Ubisoft will improve with this extra year? Let us know in the comments below!